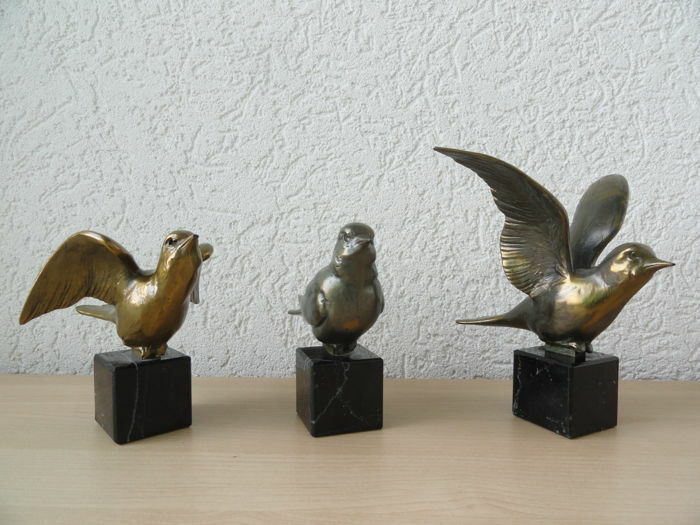 Set of 3 heavy bronze plated birds on marble pedestals. 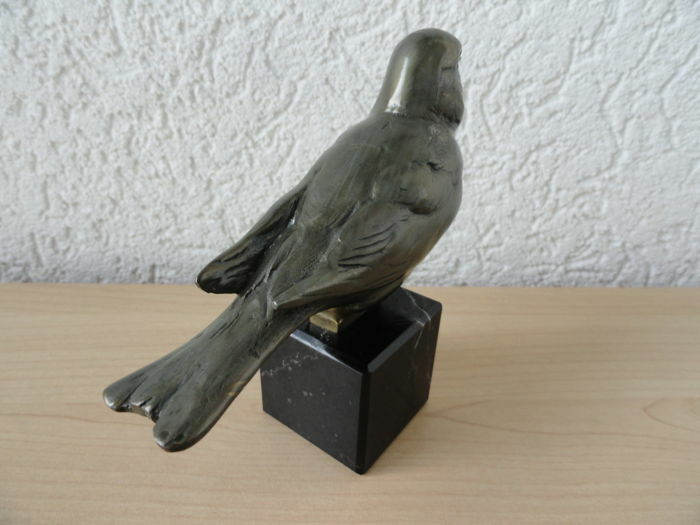 They are not signed, the artist is unknown to me. 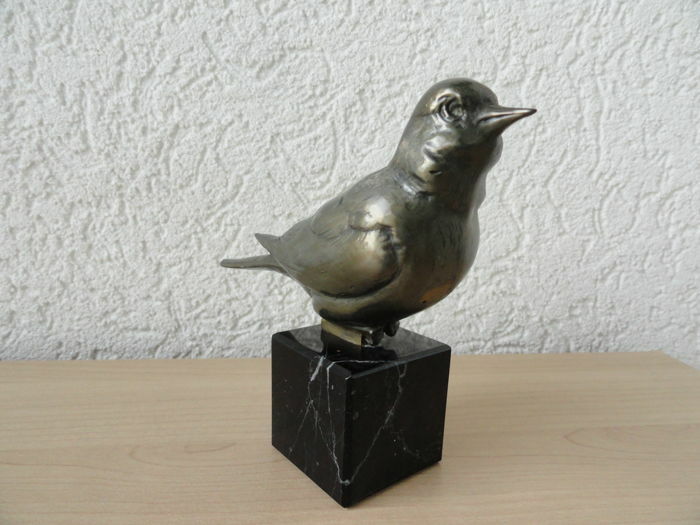 Purchased in an antiques store in Eindhoven (the Netherlands). 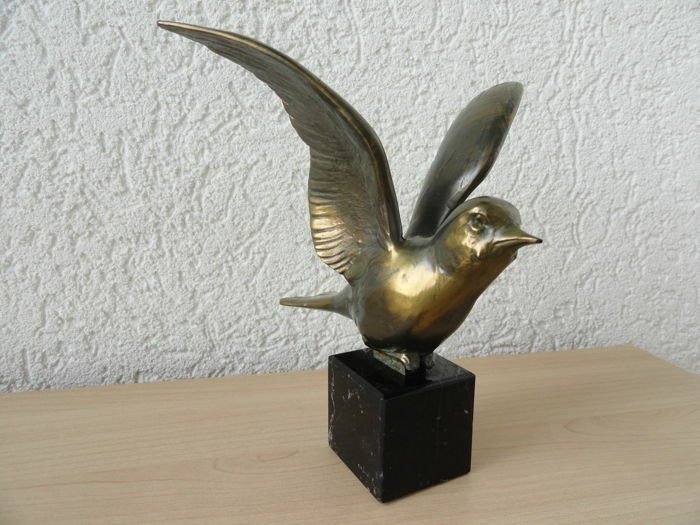 Each sculpture depicts the same bird, but with its wings in a different position. 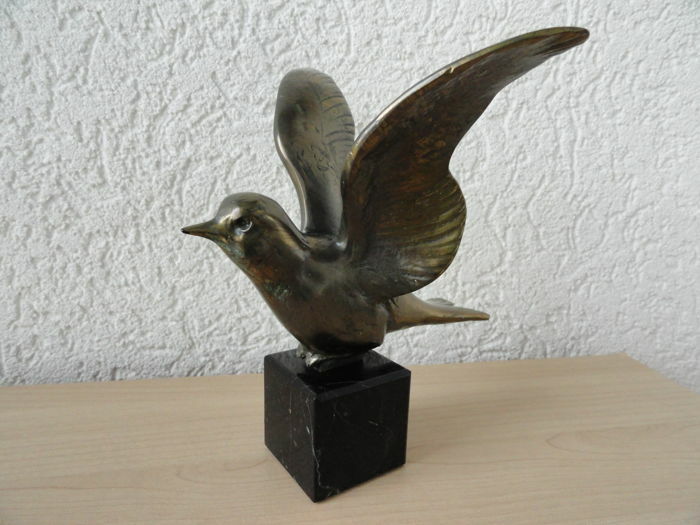 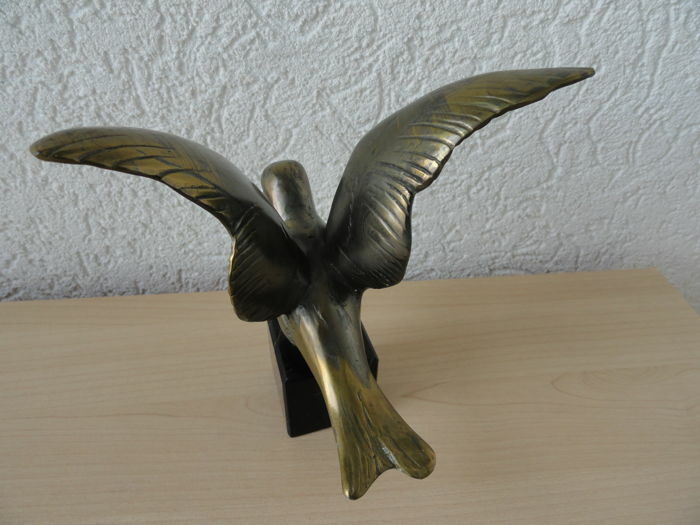 1. bronze plated sculpture, bird with spread wings, 11 cm high and 10 cm wide. 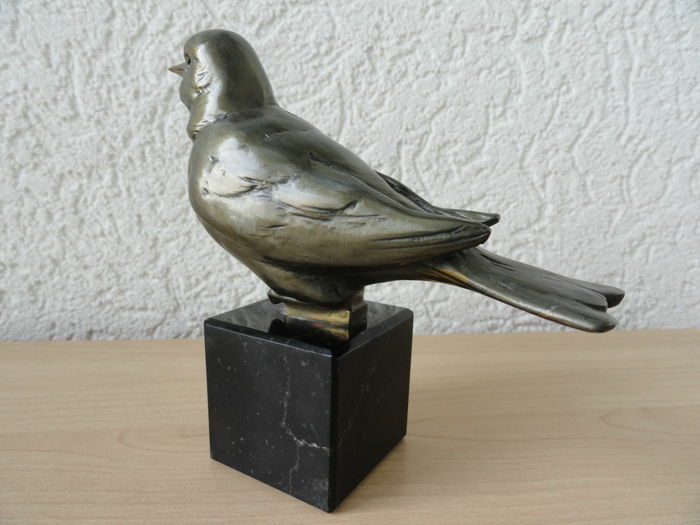 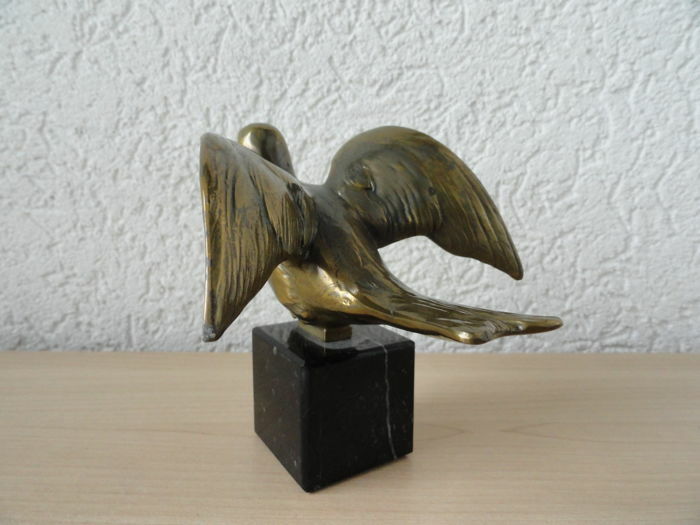 2. bronze plated sculpture, bird with wings in resting position, 11 cm high and 4 cm wide. 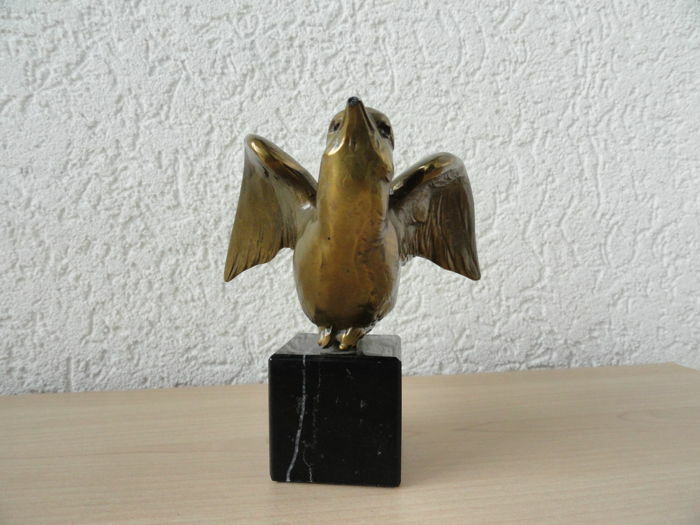 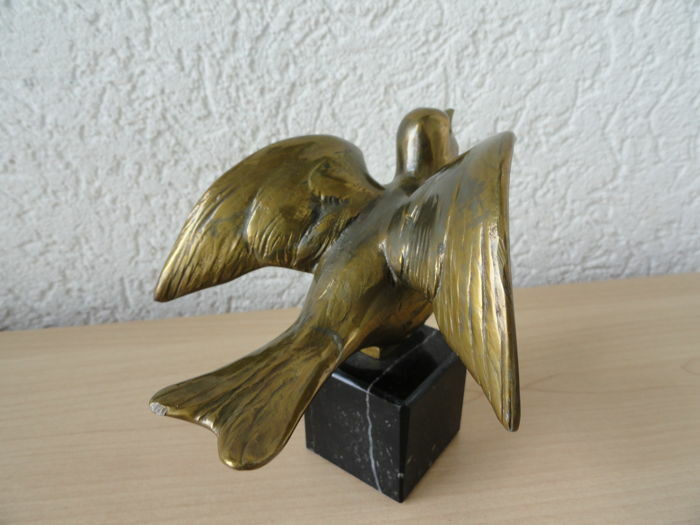 3. bronze plated sculpture, bird with raised wings, 15 cm high and 14 cm wide.